superdumb supervillain: Get Outta Town! No one would ever call me a snow bunny. Winter sports are not my scene since I pretty much despise cold weather and going downhill fast. In deference to my kids who are snow lovers, however, I know I'm going to need to bite the bullet and take them to a ski resort one of these days. I'm thinking they can hit the slopes with grandpa and my uncles while mommy hangs out drinking hot cocoa and rocking furry boots apres-ski style… It would be nice to find a spot that can accommodate activities for all ages, outdoors AND indoors. Park City Mountain Resort is chock full of options for the pickiest of families. I love that their website offers printable Personal Mountain Tours that can be customized according to skill level or interests. If skiing and snowboarding isn't your bag, there are historic tours available to teach you about Park City's illustrious past including its inception in 1884 as a silver mining town. Hey, if skiing is your bag, you can actually take the tour on skis, too! 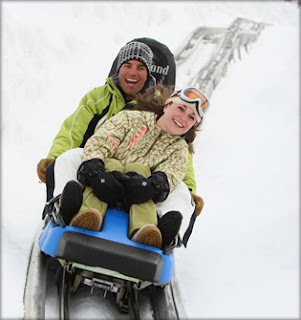 There are tons of great family activities that don't include skis at Park City Mountain Resort. I know my kids would go batty for the Alpine Coaster, a gravity-propelled mile long roller coaster that loops through the beautiful scenery. 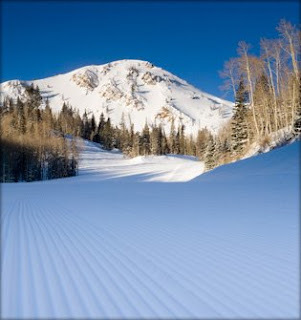 Other Park City Mountain Resort winter activities include snowmobiling, sleigh rides, ice skating and even dog sledding. 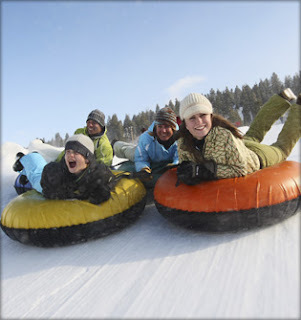 Even as cold-phobic as I am, I wouldn't be able to resist the tubing at Gorgoza Park, where you will also find Fort Frosty for the under-6 set and mini-snowmobiling. Besides, there's a toasty yurt to hang out in afterwards! 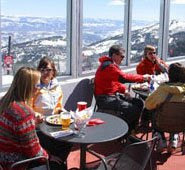 Park City Mountain Resort also features six on-mountain restaurants and it's the only area resort that has direct lift access to the shops, boutiques and galleries of Main Street. See? Something for everyone. Visit The Adventure blog to get in-depth reviews and Park City Mountain Resort travel planning ideas from locals and repeat visitors. While you're there, enter the drawing for a Family Winter Vacation for four (two adults and two kids, 12 and under) to Park City, Utah, including 3-nights lodging, 4-days of lift tickets and ski/snowboard school for the kids. Fill out the online request form to receive the 2008-2009 Park City Vacation Planner in your mailbox. Gave you an award on my blog today! okay let's do it then. let's just go. I really, really want to do the horse drawn sleigh ride. It leads to the food, ya know? It looks like a wonderful place for a vacation.